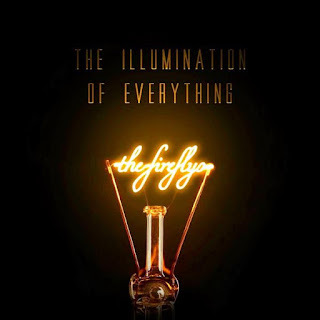 NEW MUSIC ALBUM REVIEW - THE FIREFLYS - "THE ILLUMINATION OF EVERYTHING"
ALBUM SUMMARY - "The Illumination Of Everything" is a triumph. With the band having a slightly different lineup the fact remains that The Fireflys know how to hit you with powerful emotions, lyrics and musicianship. This 4th album has a little of everything to please the listener, no one trick ponies here. 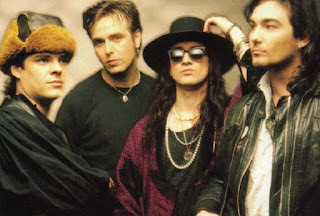 The band are classed as Americana, but there are so many genres covered here it would be hard to categorise the sound. Experimental at times but a compelling listen and as each album before, the Flys just keep getting better and better. 01 ILLUMINATION - Rip-roaring opening of frenzied heavy guitars before launching into classic Fireflys territory, the melodious, incredibly catchy chorus! At 2 minutes 12 seconds we get an atmospheric electronic/guitar break, almost psychedelic before heading back to an epic finish. 02 RELEASE/REPEAT - This light Folk Rock track is already a fan favourite before the album launch due to its prior single outing. One of those tracks you just need to keep playing, a first namer on any Flys hit team sheet! 03 BRANCHES - This song has been payed to death in our house, and to our friends! A beautifully crafted song, melancholic and light, the guitars remind me of Prince's Purple Rain solo, it sings of sadness and hope. Sheer class, I called it a lilting mixed masterpiece in a first review, I wasn't wrong. 05 BE ALONE - A slow burner, took me a few listens to appreciate this track. A cinematic, dramatic intro throws you a bit at first but then the light Pop Rock track kicks in and the lyrics are really lovely, nobody wants to be alone, right? 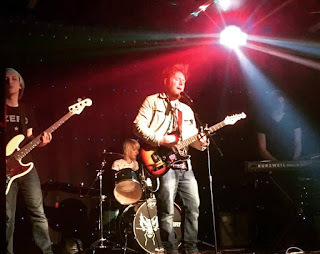 06 WHEN WE WERE YOUNG - One of the tracks debuted at the awesome Storytellers gig at The Brindley last year. Loved it from that moment, it has the same gorgeous feelings of hope and positivity that is the Flys' calling card. 07 RIVER SONG - Really love this track, Jon Bon Jovi and the boys would be proud of this, anthemic 80s Rock at its best. Would be great in a huge arena. 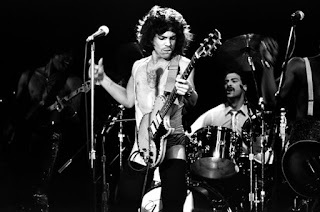 It has that fast paced chugga chugga guitars that make you wanna play air guitar,man! 08 TIDES - Reminds me of a little Chili Peppers or Guns N' Roses' Patience. Has that cool "live" sound and is a pure and very lovely Flys ballad. 09 SEVER - The second previewed taster track at The Brindley last year. All I can say is it is simply brilliant, heartfelt lyrics with a little hint of a Country/Folk hybrid backing. Class.